On Sunday January 14, 2018, at 4:30 p.m., at the sports hall "S. Bandinelli "in Velletri, there was the Eucharistic Celebration for the Episcopal Ordination of Msgr Leonardo D'Ascenzo who was elected Archbishop of our Diocese (Trani-Barletta-Bisceglie). "The harvest is plentiful. This is the expression that I chose as my motto after the announcement of my appointment as archbishop of Trani-Barletta-Bisceglie. It is the expression that more than any other recurs in pastoral work for vocations, the area that characterized in particular my priestly ministry. It is the expression that marked my whole story”. Those were the first words of thanksgiving that the newly ordained Archbishop Leonardo D'Ascenzo said in his greeting at the celebration. "You can imagine how I was deeply surprised - Msgr. D'Ascenzo continued - when I learned that the readings of tonight would have been those that are considered texts with an evident vocational content. Reflecting on this Word of God, I was able to get some of my similarities with the biblical character of Samuel in particular his ability to return to sleep at least three times after being awakened during the night. Like him, I'm very good at sleeping, I think I look like him. I hope to be like him in the availability to the call, in the capacity to grow and not to let a single Word of the Lord fall into emptiness”. Archbishop D'Ascenzo stole a smile and applause with a frank and reassuring air that convinced the more than 1500 participants in the celebration at the sports hall. Moreover, also Bishop Apicella in his homily mentioned the theme of vocation. He recalled that "the inscrutable mystery of the Trinity is the divine act par excellence. So for us Christians to transmit the Spirit of God, with the power of the Father and the Son in the inscrutable mystery of the Trinity, is the correct meaning of "tradition". That was the wish for don Leonardo, rector of the Seminary of Anagni, now called to lead the new community of Puglia. Bishop Apicella continued: “we often get confused between voices and bells: we seek the first places, the greetings in the squares, the titles, the honors, but we forget that Christ is the center, and that we as disciples must make us small, servants, and occupy the last place. It is an apprenticeship that lasts a lifetime. Precisely in the logic of the parish, Don Leonardo could experience that the logic of service is the meaning of life". Bishop Apicella concluded: "Don Leonardo is a true man, that is, he loves the truth, even if it is inconvenient, he tells the truth, he does the truth. We are sure that he will be a true shepherd for the people who is awaiting him and we wish him in his presbytery as many priests as those he educated in the Seminary of Anagni. " "We will walk together, in communion, in search of what God has in His heart for us, a portion of His people at the school of the Gospel. Supported by the Eucharist, we trust in the maternal intercession of Mary, Mother of Graces, to be the beginning of a renewed experience with Jesus". The new ordained archbishop concluded with those words taking leave of the assembly. At the end of his episcopal ordination, Msgr. D'Ascenzo greeted his community of origin and all those who had been close to him in these years, his whole family, in particular his father Giairo. Almost all the 19 bishops of Puglia were present, about 700 representatives of the Church of Trani-Barletta-Bisceglie, as well as civil authorities and mayors. 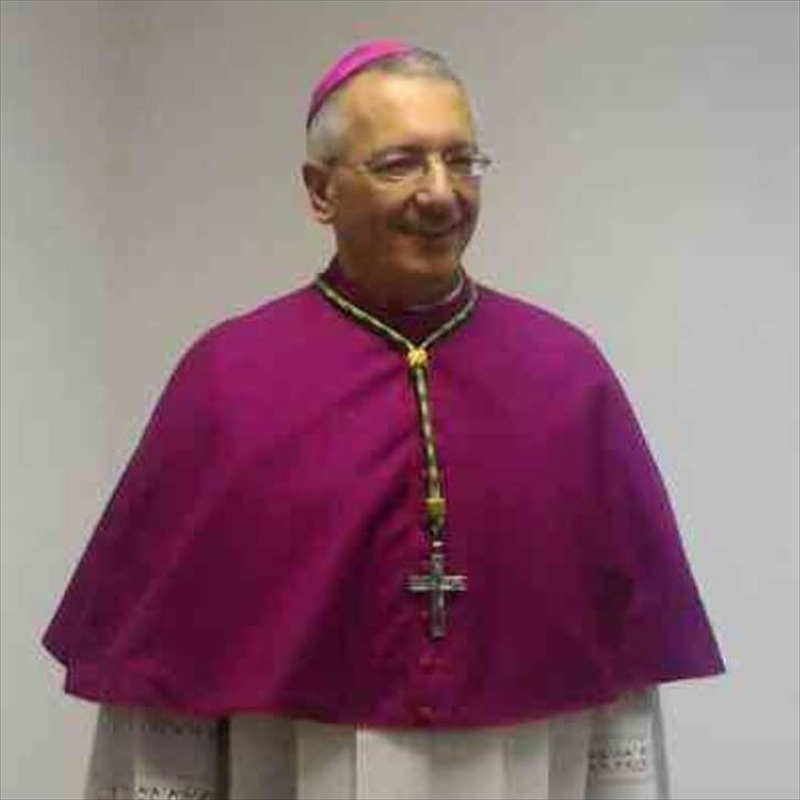 Archbishop D'Ascenzo will officially enter the Archdiocese of Trani-Barletta-Bisceglie on January 27. "WELCOME AMONG US, HIS EXCELLENCY!" In The Divine Will, in Union with Jesus, Mary and Luisa, i welcome with my heart and mind and soul, Msgr Leonardo D'Ascenzo, the Archbishop of Trani-Barletta-Bisceglie to such an authoritative position at the exact right time appointed by The Divine Will - to go ahead with promoting the spirituality of Luisa Piccarreta and The Book of Heaven, for Love of Christ, so that The Kingdom of The Divine Will will descend to the Earth and Reign here and in our souls as it was meant to do from the beginning.